For Mother's Day, the agency gives job-hunters a way to proudly display maternity leave as a full-time job. This Mother’s Day, creative agency Mother New York wants to give moms the ultimate present: the destigmatization of maternity leave. Motherhood shouldn’t have to be defended in a job interview, says the agency, but moms are often dismissed by potential employers because of the gaps in their resumes. 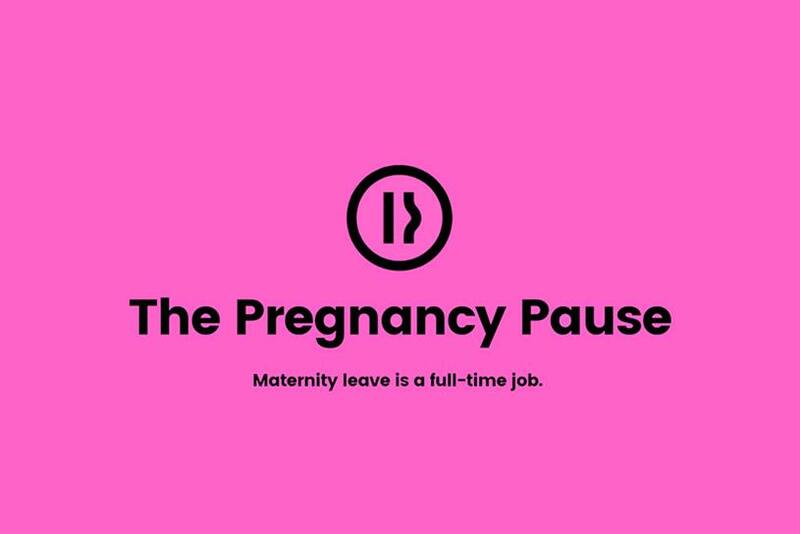 To help remedy the problem, the agency is introducing "The Pregnancy Pause," an effort that gives job-hunting moms an easy way to treat time taken away from the office to raise a child like any other full-time job. Although it’s not an actual company, "The Pregnancy Pause" has the appearance of one with its own website and LinkedIn page and provides tools like a sample resume and cover letter, as well as a phone number for hiring managers to call. The idea is that mothers can list their job title as "Mom" at "The Pregnancy Pause" to their LinkedIn profiles or resumes and turn a resume gap into a proud statement that parenting is a full-time job. "This year, we wanted to take on a frustrating problem for many working mothers," explained Corinna Falusi, CCO of Mother New York, in an email. "New mothers in the U.S. often feel forced to quit their jobs due to a lack of adequate maternity leave policies, which leaves them penalized for the subsequent gaps in their resumes. We wanted to give working mothers everywhere a simple tool for this problem, and make it easy for them to own maternity leave as the full-time job it truly is." Hiring managers that call "The Pregnancy Pause" number will hear the pre-recorded greeting: "Hello, you have reached The Pregnancy Pause. You must be calling about a candidate’s resume that has mentioned her time spent here. While here, she spent innumerable hours raising a child, which has surely offered her invaluable experience as a prospective employee. Visit our website ThePregnancyPause.org to learn more, and remember, maternity leave is a full-time job." To further the point, Mother New York writes on "The Pregnancy Pause" LinkedIn page, "It's time to make it clear that maternity leave—whether 12 weeks or 12 years—isn’t a vacation." Now that the ad agency has given moms a way to professionally list their maternity leave online, women and employers can finally have that conversation in person.